Link: The lion indicates the Manor of Benson having been granted in the 13th Century to the Earl of Cornwall in whose Armorial Bearings this animal appears. The escallop which is symbolic of early pilgrims has reference to the functions of this station. 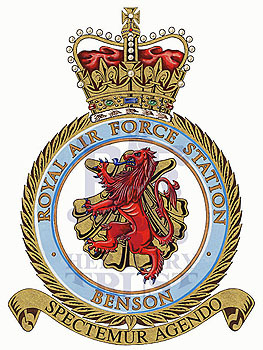 Sponsored by Just Wood and dedicated to all who served at RAF Station Benson.